Disclaimer: I'm a US Family Guide Blogger.We were not compensated financially for this post. 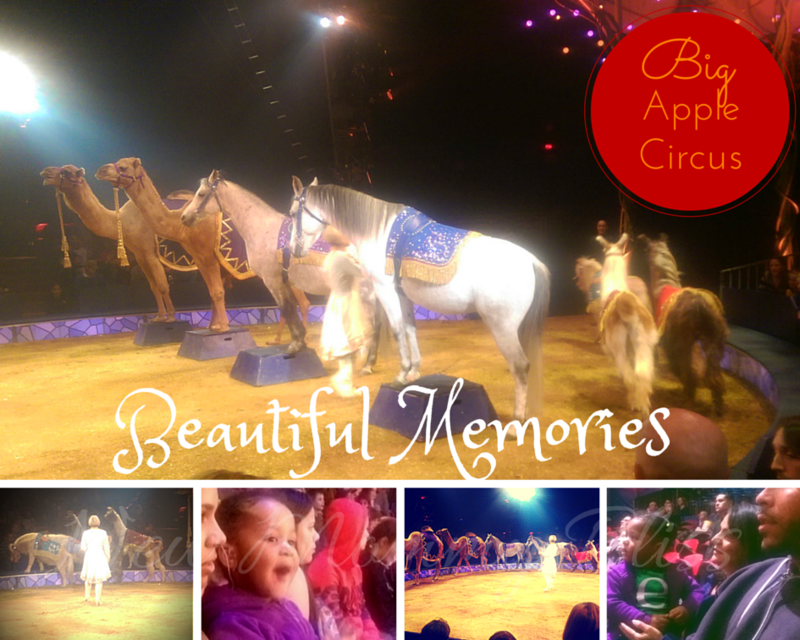 We were, however, given 6 free admission tickets to the Big Apple Circus : Metamorphosis for review purposes. 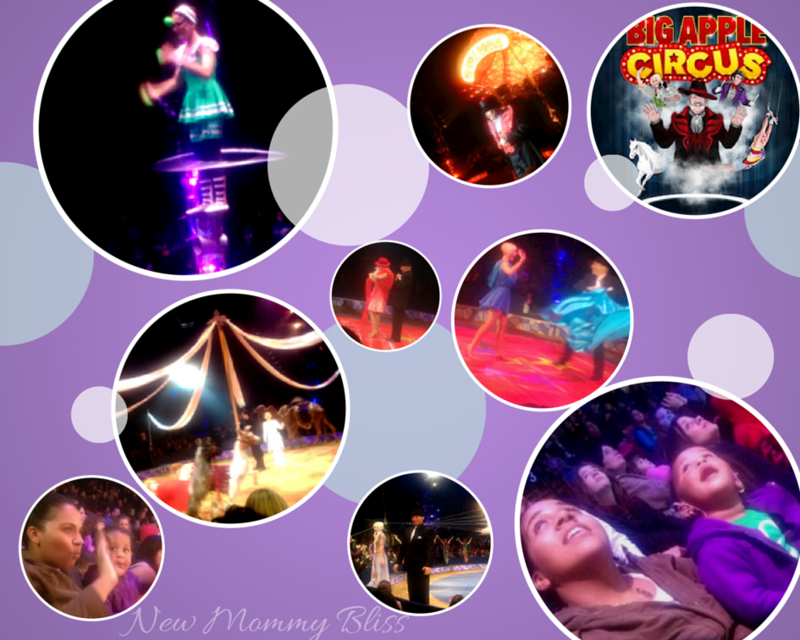 All opinions expressed here are our own based on our personal experiences at Big Apple Circus. 3 Weeks ago, my family and I were lucky enough to get the chance to see the new Big Apple Circus: Metamorphosis in NYC at the Lincoln Center Damrosch Park. It was so delightful! I brought along my Niece, Mother, Hubby, and daughter. It was Hubby and Daughter's first live circus performance. My heart pretty much exploded from such innocence in their faces! The Ringmaster, John Kennedy Kane, and Francesco, the funny-musical-crowd pleasing clown, really engaged the audience. If you are afraid of clowns don't worry! He does not look at all like the creepy ones on TV. The date for our show was the same date as the NYC Marathon. Had I known, we would have taken the train rather than be half an hour late to a 75 minute performance due to unavailability of parking. A fellow blogger told me that we missed a little dog show, the contortionist, and a few other great things but I'm glad we got there just in time for the REALLY good stuff. As with other circuses, it was held inside of a tent. The temperature inside the tent was kept nice enough for us to not need our coats. There were tricks, stunts, trained animals, and acrobats. Our favorite performance was the gravity-defying spaceship-themed aerial act by Giovanni Anastasini and Irene Espana (Husband and Wife Duo). They were hanging and spinning simultaneously from a Spaceship! Could you believe we didn't even get ONE picture of this?? The Smirnov Duo's incredible quick-change routine, in which both changed outfits numerous times in the blink of an eye was my mother's favorite act. Everyone laughed, everyone was happy and most importantly... Everyone was having fun! Children under 3 who sit in an adult's lap are always free. That looks like so much fun. I haven't been to the circus since I was a kid. Looks like the kiddo loved it. I hope the animals are well taken care of! My kids haven't been to a circus yet. They would love this! That looks like so much fun. I love the look of wonderment in your daughter's eyes. That looks like it was so much fun! We love the circus! We'll have to go if we hit NY. Thanks for sharing! How fun! It's something the kids will probably remember forever! This is my absolute favorite circus--there is nothing like being under the the big top close to the big ring--its a wonderful experience! I love going to the circus, but have not had the opportunity to take my kids to one yet, because we live in a small town where nothing exciting happens.